Enjoy the atmosphere of our pool with jacuzzi and swimming machine! Our hotel is located near the sea, but for those who don't like saltwater we have a wonderful pool with counter-current swimming machine for an invigorating swim. 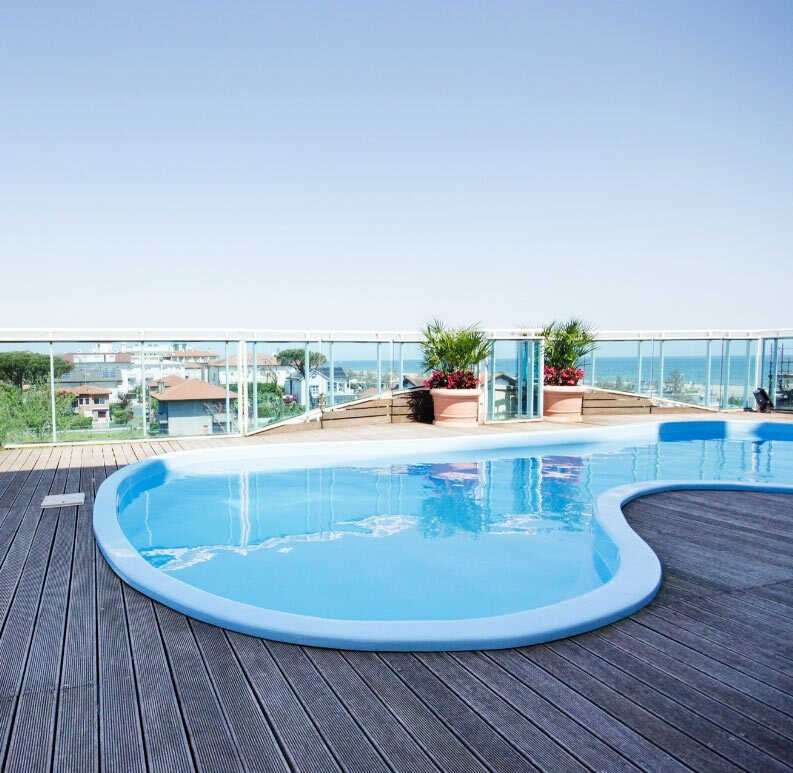 The jacuzzi is located at the third floor, overlooking the beach of Cervia for a fantastic view – especially at sunrise, the favorite time for the early birds. You shouldn't miss the aquagym classes we regularly hold at the pool, to keep in shape just like at home – and even better. The pool is suitable for our youngest guests too, as the water doesn't get deeper than 110 cm. 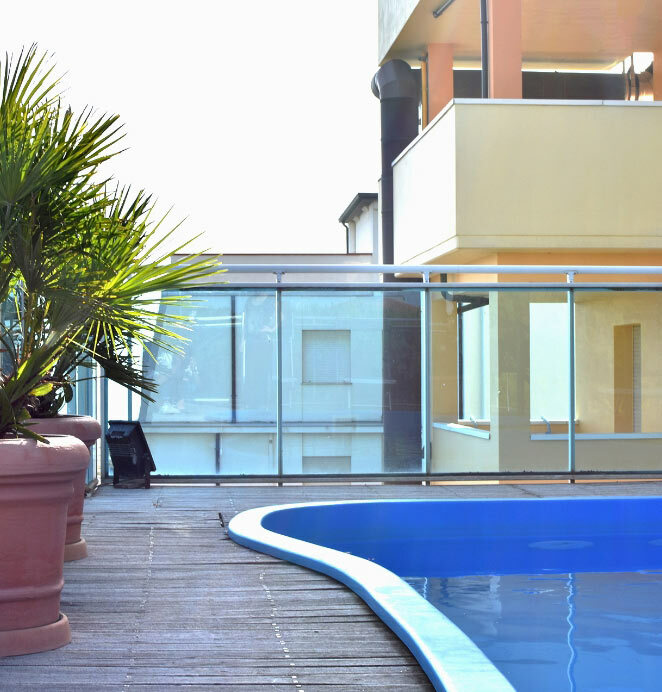 Relaxing is an everyday occurrence at the Hotel Cervia, as well as having fun with sports, bike rides, beach and sunshine. At your disposal, the wonderful blooming garden, where you can rest in the shade of leafy trees while reading a book, or chat online with your friends, telling them about your great holiday in Cervia.